Linden Therapies is a wholly holistic practice inspired by the positive effects that we witness within a clients’ physical, emotional and spiritual well-being as a result of the amazing healing power of touch. This is designed to be a longer treatment as the selection of the organic essential oils are made in consultation with the client. The oils are expertly blended and then used in the massage making this a special experience and a massage totally tailored to your needs on that day. A range of techniques will be used to encourage healing to the physical body and assist the body's energies. Complete relaxation to leave you feeling calm, balanced, deeply relaxed and ready to face the world again. An Australian Bush Flower remedy can be prescribed afterwards, at additional cost, to support on-going healing after your treatment. 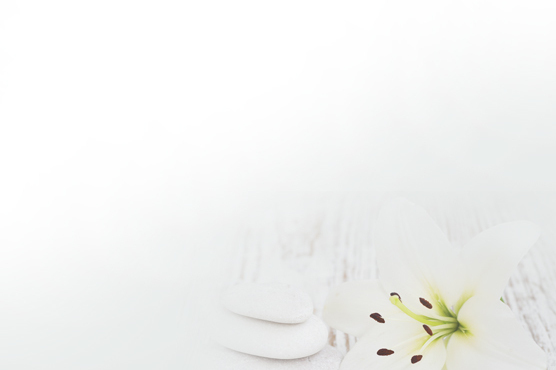 Linden Therapies is a wholly holistic practice inspired by the positive effects we continually witness within a clients’ physical, emotional and spiritual well-being as a result of the amazing healing power of touch. The vision at Linden Therapies set out by owner Linda Barnes, a fully insured holistic practitioner is to provide therapies which treat the individual as a whole. You whole being is your essence, let this be supported and healed. Fully trained in alternative & natural therapies and also a Reiki master there is a generous selection of treatments available at Linden Therapies. We very much feel that there is a treatment for everyone whether a client would prefer a more spiritual therapy to those who enjoy indulging themselves in all things organic. We are passionate about the products we use and the ethics behind them. But the aim to provide a client with an all round relaxing and calming treatment. The therapy is tailored to the individual to gain the best results. We take time to listen and explore the best treatment for you, the client. ﻿All the treatments offered are suitable for both men and women. Young people under 17 years are also welcome provided parental consent and supervision is provided. We look forward to hearing from you and if you need to discuss any aspect of the treatments listed, please do not hesitate to contact us. The vision at Linden Therapies set out by owner Linda Barnes, a fully insured holistic practitioner, is to provide therapies which treat the individual as a whole. Your whole being is your essence, let this be supported and healed. We like to tailor the therapy to the individual to gain the best results. We take time to listen and explore the best treatment for you, the client. All the treatments offered are suitable for both men and women. Young people under 17 years are also welcome provided parental consent and supervision is provided. We look forward to hearing from you and if you need to discuss any aspect of the treatments listed, please do not hesitate to contact us. The UK's first certified Organic Health & Beauty company with the largest range of certified natural and organic healthcare and beauty products. I am an Independent Consultant for NYR Organic UK. The UK's first certified Organic Health & Beauty company with the largest range of certified organic health and beauty products. I am an Independent Consultant for NYR Organic UK. The oldest healing art known to man, my range of massages include, aromatherapy, deep tissue, lymphatic drainage, holistic, Indian head massage, pregnancy, post natal, volcanic hot stones and thai herbal compresses. Using high quality oils, gels and creams to cleanse, exfoliate, tone, boost circulation and moisturise the skin. Treatments include, aromatherapy facial, organic facial using essential oils from Neal's Yard Remedies and body detox scrub and polishes. The art of reflexology aims to balance and restore the body's own healing energy powers, Indian head massage, thermo-auricular therapy (Hopi ear candles). Myofascial Release (MFR) through soft tissue release restores balance of the body and helps relieve pain. Seichem Reiki, Crystal Therapy, Flower Remedies and bespoke therapies tailored to your individual needs. 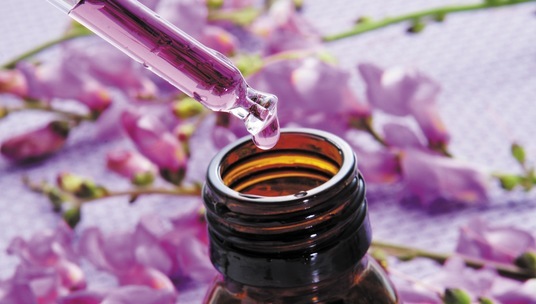 Individual flower essences can be tailor made assist with a crisis, stress or anxiety. Being a Rieki master I can offer guidance and healing for the mind, body and spirit. I am a fully trained practitioner for palliative care certified by the Middlesex School of Complementary Medicine. I offer a range of complementary therapies that provide psychological, emotional and spiritual support. Treatment rooms available in Slough & Windsor, Berkshire. Visit to offices for employee "wellness days" can be arranged. Please ask for details. childhood cancers. Please go to the website www.williamsfund.co.uk to find out how you can help. I donate 10% for all enquiries via the website. AT Skin and Laser, High Wycombe. The clinic specialises in laser hair removal, blemish removal, micro-needling , IPL & advanced electrolysis. Interested in becoming a therapist? Please go to our associate A Listers Academy which offers high end accredited training courses in all aspects of beauty & holistic areas.